The growing understanding of cancer pathophysiology, and the systematic development of diagnostic and therapeutic solutions are leading to improved quality of life for cancer patients around the world. To continue this trend, medical disciplines and specialists are merging expertise and experience. There is a growing understanding of the interconnectedness of practical processes in hospitals, healthcare systems as a whole, and of the biological systems and processes themselves. Simply put, the world of medicine is realising that it is stronger when it works together than as separate entities. 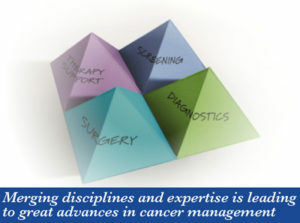 Cancer management is classically defined in clear-cut steps. Screening to recognise cancer as early as possible. Diagnostics for therapy decisions. Surgical treatments. And, support once therapy is underway. Yet the knowledge of diagnosing and treating cancer continues to grow, and so do the synergies between the various treatment and diagnostic solutions. As a result, experts from a range of disciplines are cooperating to grasp and make best use of the emerging interdependencies. Experience shows that this is the most effective way to get the big picture from of all the diagnostic information. As a result, in the new age of cancer diagnostics and therapy, the ‘blanket treatment principle’ is increasingly being replaced by individualised care. This calls for diagnostics that look at patient cases from multiple perspectives and so create a holistic picture. This overall picture, including all relevant patient information, is important for everyone involved across the various phases of cancer management. In cancer care, new treatments and patients’ quality of life is increasingly a focus123. 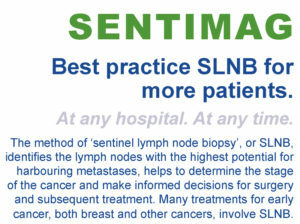 Decisive progress has been made, for example, with the introduction of the sentinel lymph node biopsy (SNLB) concept, as a result of which patients benefit from axilla-saving operations and therefore from fewer long-term effects. The Sentimag system detects sentinel lymph nodes magnetically. Analysing lymph nodes molecularly using the OSNA system provides reliable findings based on the entire lymph node – while operations are ongoing – so that surgeons can immediately perform the most appropriate surgical intervention. Importantly, the latest findings from research show that molecular lymph node analysis using OSNA can also deliver valuable information for individualised therapy decisions. Alongside these optimised diagnostics and therapies, using modern side effect management can ensure patients experience fewer limitations in their everyday life, despite the most essential, systemic cancer treatment. During and after chemotherapy, for example, many patients consider loss of hair to be one of the most impactful and negative side effects. Here, when using DigniLife, many patients now have an opportunity to retain their hair and therefore greater normality and dignity in their everyday lives. These developments in modern diagnostics and the new side effect management methods are contributing to improved therapies and greater quality of life for breast cancer patients. 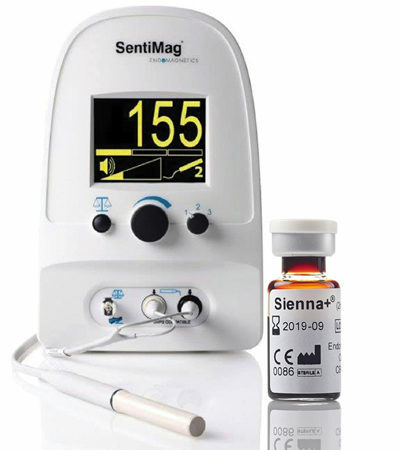 In modern diagnostics, there is an easy-to-use, clinical solution that uses safe magnetic fields: the Sentimag probe and the Sienna+ magnetic tracer. It offers clinical outcomes non-inferior to the current standard treatment4. The Sentimag magnetically locates the sentinel lymph node using the tracer, Sienna. 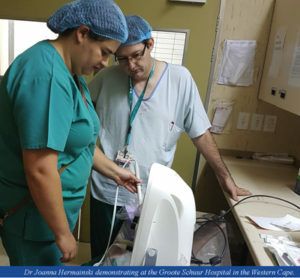 This system not only improves the comfort levels of patients, it allows patients to spend less time in hospital and they don’t have to be transported to other hospitals if the hospital at which they’re being treated does not have a nuclear medicine department. Sienna can be injected from seven days in advance up to 20 minutes before surgery, allowing hospital admission to take place later in the day, as less pre-operative scheduling is required. 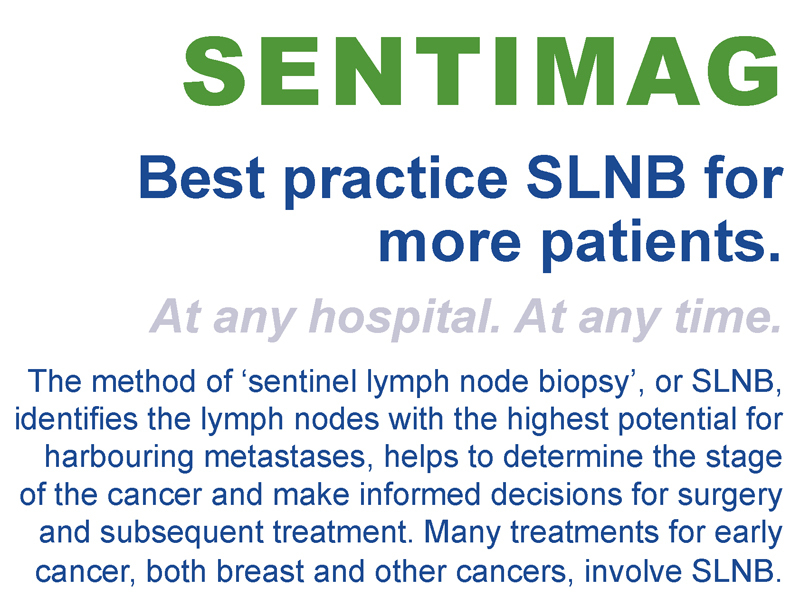 Perform best practice SLNB in any clinical setting, available to all patients. Eliminate issues with radioactive materials. Surgeons retain full control of the SLNB procedure. The tracer can be injected when it is best for the surgeon and the patient, up to seven days in advance. Throughout Europe and Africa, over 20 000 patients have already been treated. Currently, the Sentimag and Sienna system is widely available across Europe, Australasia, Singapore and Hong Kong. But now, there is great excitement that it is available in South Africa. At the introduction, Dr Joanna Hermainski, Head of Cancer Devices – Sysmex Europe, guided all the valued guests, from across the multi-disciplinary spectrum, through the clinical application of the Sentimag and Sienna tracer, and then demonstrated how to use it. The South African launch of the Sentimag and Sienna system, hosted by Sysmex, took place at The Bryanston Country Club in Gauteng on 22 February. 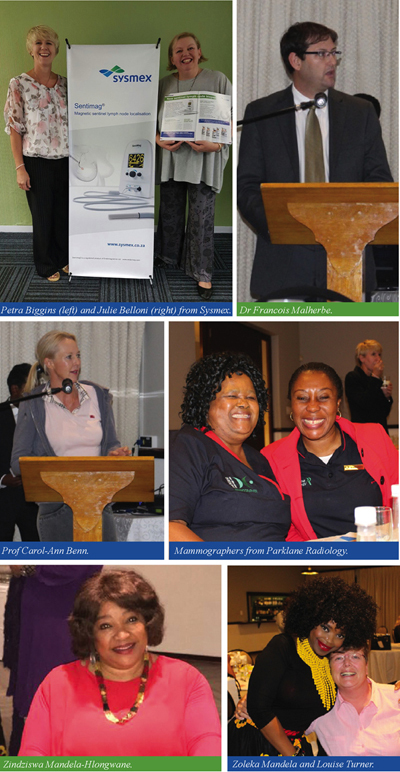 Professor Carol-Ann Benn (Johannesburg) and Dr Francois Malherbe (Cape Town) spoke about breast cancer in the government and private sectors in their respective provinces. Both specialists were impressed by the system; Dr Malherbe performed two surgeries using Sentimag and Sienna the day before with astounding results. 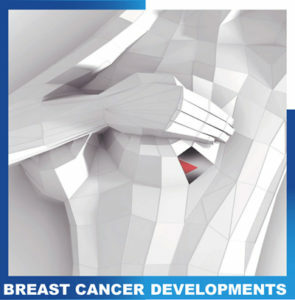 Both agreed that this system is a new frontier that is advancing breast healthcare. The guests included breast cancer survivor Zoleka Mandela and her mother Zindziswa Mandela-Hlongwane, who is South Africa’s ambassador to Denmark; Louise Turner, CEO of Breast Health Foundation; Dr Peter Schoub and colleagues from Parklane Radiology; CANSA representatives; Dr Hans Jekel, Director of Pink Drive; Wits Donald Gordon Medical Centre oncology sisters; Dr Sarah Rayne; and Karen Joseph, publisher of BFL magazine.